Groves was an officer in the U.S. Army Corps of Engineers. 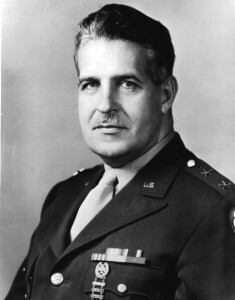 In 1940, he was put in charge of building the Pentagon, at the time the largest office building in the world. His next major assignment was as military director of the Manhattan Project, which researched, designed, and built the atomic bombs that ended World War II.